MIT researches created a new cryptocurrency that reduces the data users need to verify transactions and join the network by 99% compared to popular cryptocurrencies like Bitcoin. 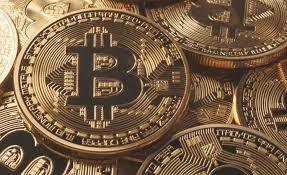 Bitcoin and other popular cryptocurrencies are networks that are built on blockchain, a ledger that is formatted in a sequence of individual blocks, these blocks contain transaction data’s. In order to join or purchase a cryptocurrency, users are required to download and store all transaction related data from more than 100 thousand different individual blocks. Also, users must store these data’s to help verify transactions and use the services. This makes the process slower and more computationally impractical for other people. During the forthcoming Network and Distributed System Security Symposium, the researchers from MIT introduced “Vault”, a cryptocurrency that allows users to join the network by simply installing a portion of the entire transaction data. Vault also deletes empty data accounts that take up a lot of space, and allows verifications by only using the newest transaction data that is divided and shared around the network, this will minimize processing needs and user data storage. In the experiments that were conducted by the researchers, Vault the cryptocurrency reduced the bandwidth for joining its network to a whopping 99 percent when you compare it to bitcoin, and 90 percent when you compare it to Ehtereum. Both Bitcoin and Ethereum are considered as the most efficient cryptocurrencies as of now. One of the most important things about Vault is that, it will ensure that all nodes are validating the transactions, this will provide great security that is equivalent to its existing competitors. The researchers at the MIT built this system on top of a new cryptocurrency network that they call Algorand, which is considerably very secure, decentralized, and is more scalable than the other available cryptocurrencies.